Let your genius sparkle with the sapphire blue Fireburst Circular 77mm 6-Point Star Filter from Formatt Hitech. Embedded with monofilament threads, this glass filter creates a starburst effect with six diffraction spikes streaking out from every point light source, such as the sun, a light bulb, or a candle. The Fireburst's stackable design allows you to play with combinations of two-, four-, and six-point star filters of different colors to get countless variations of the effect. 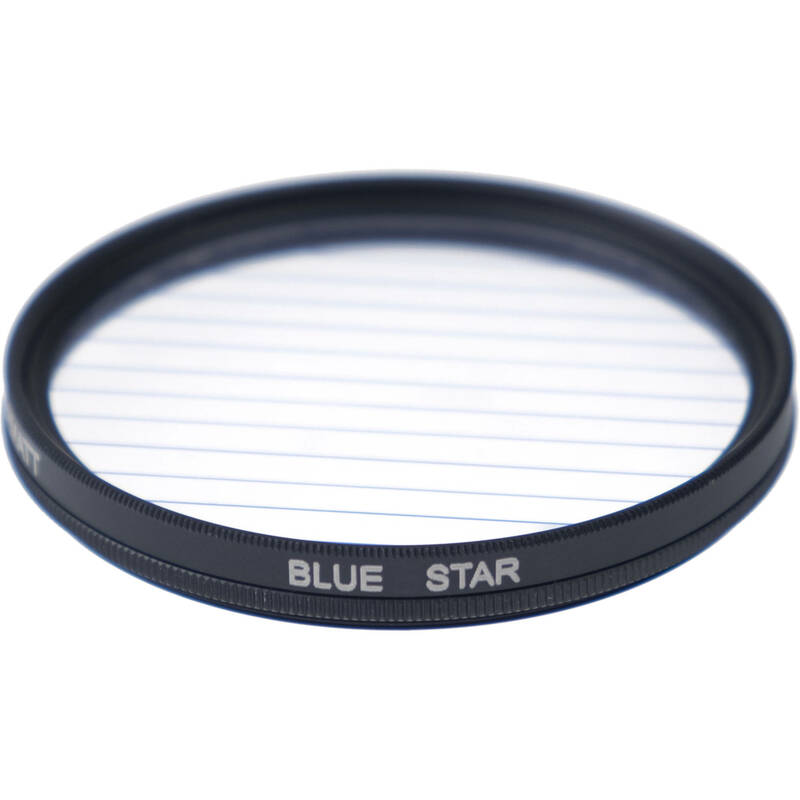 The aluminum SuperSlim filter ring is 360° rotatable, giving you complete control over the angle of the stars. Box Dimensions (LxWxH) 4.4 x 4.3 x 0.8"